Back in October, I decided we had WAAAAAAAAY too much food in our pantry and freezer. Part of the “problem” was that last February, I had challenged myself to cook more from scratch, so I was using very few (if any) boxed foods, canned goods, frozen foods, etc. 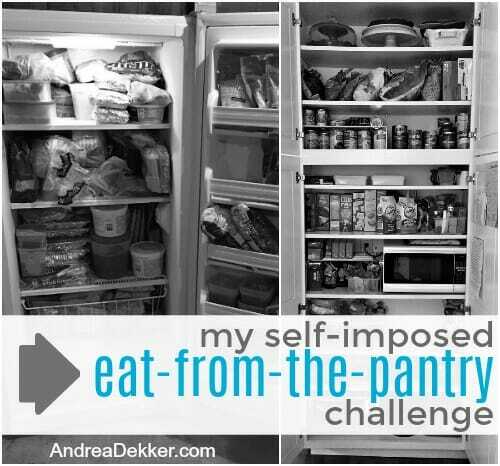 My solution = a self-imposed Eat-From-The-Pantry (and freezer) Challenge! I decided we would eat as many foods from the pantry and freezer as we possibly could before buying anything else from the grocery store — even if that meant eating a few really random and odd food combinations. I honestly never expected this challenge to “drag on” for so long, but believe it or not, we were still (mostly) eating from the freezer and pantry at Christmas time! 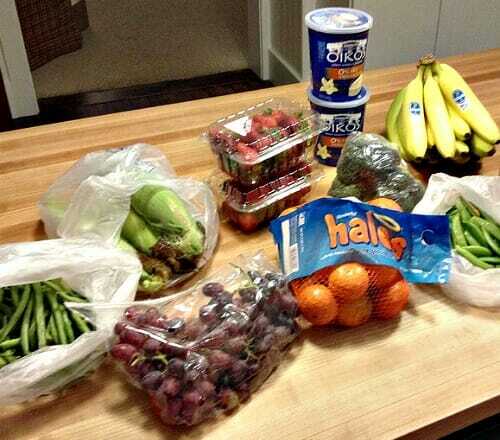 Initially, I didn’t buy any groceries for almost 2 weeks! We already had several dozen eggs in the house, and after all our fresh produce was gone, we started eating canned and frozen fruits and veggies. Since I knew we would eventually need to buy more perishable foods, I came up with a few basic ground rules to follow for my self-imposed challenge. 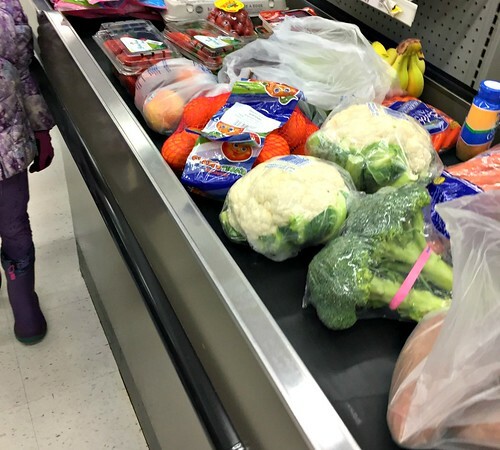 No buying any frozen, canned, or dried fruits, veggies, beans, etc. No buying any snack foods, cereals, chips, crackers, nuts, etc. I did make a few exceptions (especially once we got closer to Christmas) but for the majority of October, November, and December, my grocery cart contained only fresh produce, milk, eggs, plain Greek yogurt, cottage cheese, and maybe one or two other items, depending on the week. Three different times, the cashier asked if we were vegetarians because I was only buying produce and eggs! And even though fresh produce can be pricey, my weekly grocery costs were significantly lower than they had been! While I’d love to be able to share a detailed list of every single recipe I made during this challenge, that would be impossible — and honestly, probably not all that helpful since you most-certainly have different foods in your home and different food preferences. However, I hope that by sharing more about how I made this challenge work for our family, you’ll be a little bit more inspired to try something similar for your family! I aced this one — only buying fresh produce for the past 3+ months while also using up every last can of fruit, and almost every bag of frozen veggies. Of course, fresh produce costs more and needs to be used more quickly, but it has been fun to have a large variety of fresh produce for soups, salads, to roast or to eat raw. I’ve come up with SO many new “recipes” for different salads and meals! It might be worth noting that I do have almost 50 quarts of home-canned applesauce and several varieties of home-canned jam in the house, so we never need to buy that. 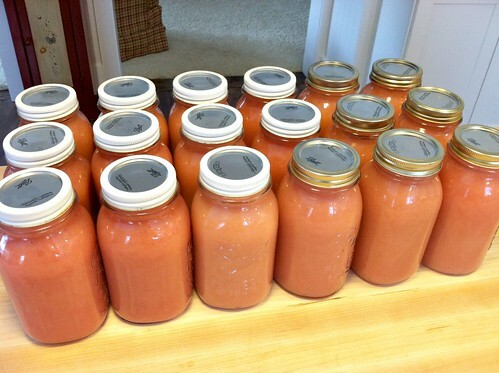 Moving forward… I will continue to buy canned tomatoes and frozen berries (as needed for smoothies). I will also keep at least one bag of frozen peas and corn in the house as we use those regularly for different soups, salads, and casseroles. However, I don’t need 10 bags of each! I’ll also continue buying significantly more fresh produce as we really do prefer fresh over canned or frozen. We had TONS of meat in our deep freezer as Dave’s parents gifted us with a 1/4 of a cow for Christmas last year and we still have a lot left. I had also stocked up on chicken, pork chops, sausage, bacon, brats, etc. over the summer months, so we were totally over-loaded with meat options. 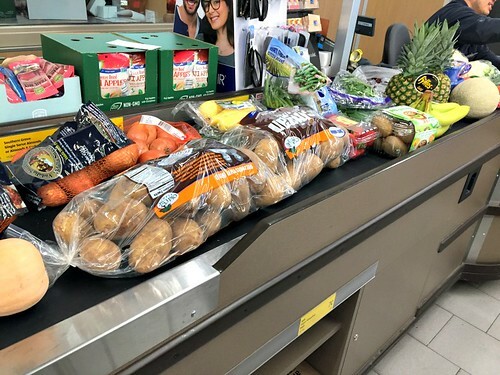 We were easily able to come up with a huge assortment of meals without buying any more meat from the grocery store — don’t worry, we did NOT go hungry for meat, despite the fact I didn’t buy anything extra for 3 full months! I also found a couple cans of tuna in the pantry — and to my surprise, our kids LOVED the 2 different tuna meals I made. I will most likely buy more tuna now that we know it’s a hit at our house! Moving forward… I will probably only buy bacon, sausage, and fish for some time now as we still have a good amount of beef, pork, and chicken in the freezer. I’ll also do a better job of making roasts or other larger cuts of meat versus relying on ground beef or ground sausage for quick dinners. This one was the hardest for me — which is surprising because I eat the fewest snacks of anyone in our family. However, I had gotten so accustomed to simply buying more of the kids’ favorite snacks (pretzels and goldfish) that the bags of graham crackers, wheat thins, and animal crackers had just been sitting around. The kids weren’t even eating the yogurt pouches or granola bars because I wasn’t making a point to offer them. I decided I absolutely had to stop buying ALL snack items until we ate through almost everything we already had in the house (which was A LOT)! We donated 2 full grocery bags of requested snack items to a local organization that packs children’s lunches. Nora came home with a specific list of snack foods they wanted, and we just so happened to have many items on the list. We “purged” a huge number of snack items we weren’t eating and helped out a local cause in the process. Nora and I put together little goodie bags for her birthday treat at school and for her birthday party at home in November. They were packed with candy, fruit snacks, granola bars, crackers, etc. and they seemed to be a big hit! 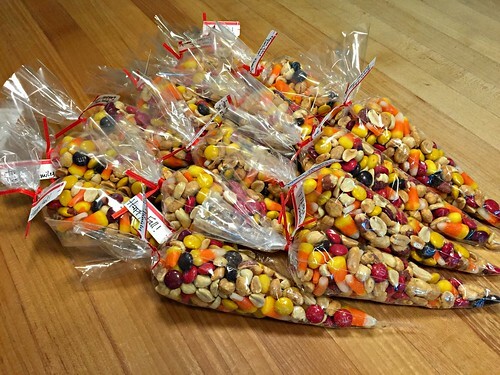 We sent a grocery bag full of candy to school with Dave — the teachers gobbled it all up! 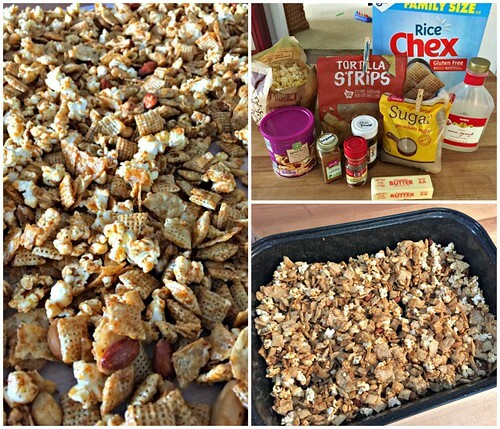 We used many of the nuts, crackers, candy bars, cereals, popcorn, etc. to make various snack mixes that we then gifted to teachers and others as little Christmas gifts. We sent a bag of requested snacks to school with Simon to re-stock their preschool snack cabinet. We enjoyed different snacks than normal — frosting on graham crackers instead of homemade cookies, granola bars instead of brownies, Chex Mix or popcorn instead of pretzels and goldfish, etc. I used my food processor to crush up a bunch of half-empty packages of chips, pretzels, graham crackers, ritz crackers, Oreo cookies, etc. that I then used to make various baked goods, casseroles, snacks, etc. I put the rest of the crumbs in freezer bags for later. We still have a good amount of snack foods in the house, and I still bake regularly, we just don’t have nearly as many options as before. Aside from buying one bag of pretzels, I still haven’t purchased any new snacks! Yikes! Moving forward… I will absolutely stop buying so many snacks! Seriously, I don’t even walk down the snack aisles anymore. My kids seem to prefer stick pretzels, goldfish crackers, and homemade baked goods as their “junk food snacks” of choice. So other than that, I probably won’t buy many more snacks unless we need a specific item. Also, I completely rearranged my pantry setup now that we don’t have as much snacky foods in the house — this will probably be another post in the coming weeks! This one was the easiest one for me as I don’t drink anything but milk and water anyway — the kids don’t really either. They do like lemonade, but we had a few containers of Country Time lemonade mix that lasted quite a while for us. Other than that, I didn’t buy any juice, lemonade, pop, or any other beverage. Now that I’m typing this, I do think I bought one container of coffee for Dave at some point within that 3-month span, but that’s it! Moving forward… I doubt I’ll go back to buying many (if any) other beverages unless it’s for a special occasion — only coffee for Dave. Our kids are satisfied with water for every meal and so am I. Not only will this lower our grocery bill (and our sugar consumption), it also frees up SO much space in our refrigerator — which I need for all the extra produce! 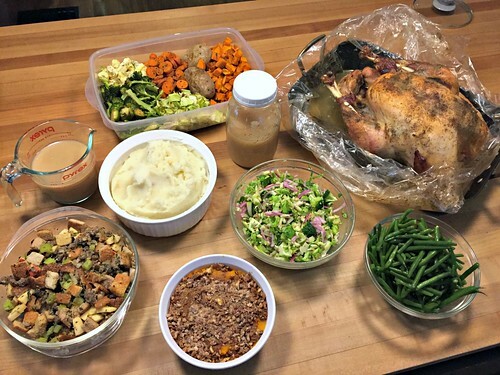 Considering the fact that I baked something almost every single day throughout the holiday season, this part of my eat-from-the-pantry challenge was surprisingly easy for me… which just goes to show how ridiculously much food we had in our house! My pantry and freezer were jammed full with flour, sugar, spices, seasonings, oils, honey, maple syrup, chocolate chips, and so many other baking items. The only item I can think of that was sort of a “cheat” was when I had to buy a container of molasses for these cookies I desperately wanted to make for a family Christmas party! Other than the molasses, I had absolutely no trouble baking as many treats and goodies as I wanted with the ingredients I had in the house. I did end up getting a little creative towards the end — substituting all sorts of various ingredients and coming up with some pretty delicious end products. At one point, I used a bag of Cinnamon Toast Crunch I’ve had forever (not even sure why I bought it as my kids don’t eat cereal) to make a toffee-type candy/brittle that was absolutely addicting! It almost makes me want to buy more cereal just to try it again! As for the bread, my goal for 2019 is to make most (if not all) of our bread, and thanks to this challenge, I jump-started my bread baking a few months before the New Year! After we ate through our freezer stash of bread, rolls, buns, etc. I started making my own. I’m still not very good at it, but I’m practicing often! Moving forward… I hope to continue making all our own bread products — I’m currently still buying tortillas. After almost 3 months of eating from our pantry and freezer, I spent a couple afternoons over Christmas break defrosting our mainly-empty deep freezer, completely changing up the layout of our pantry, and enjoying ALL the extra space we have as a result. (I’ll be sharing more about this in a future post). Also, our credit card bill for December was surprisingly low, and I have to think it’s mainly due to the fact that I haven’t been buying as many groceries. Definitely a nice surprise after the holiday gift-giving season! I realize my way of doing this eat-from-the-pantry challenge might not work for your family, but you can make your own rules! If you’d like to use up some of the food in your house, try new and interesting recipes, and save a bit on your grocery bill, I would highly encourage you to give this type of challenge a try. Have you done an eat-from-the-pantry challenge before? 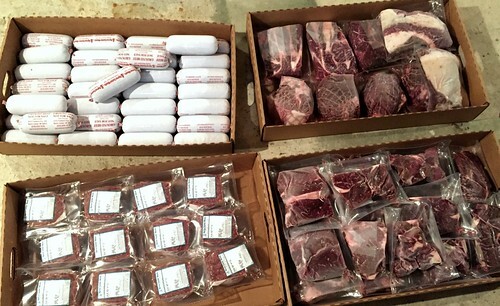 We also get a 1/4 beef from a local farmer each year, and I almost always use up the ground beef before the steaks and roasts. I had to figure out ways to remember to make more of those year round so I’m not stuck using it all up each fall before our new meat comes. Have you ever seen the book Make It Fast, Cook It Slow by Stephanie O’Dea? (there is also a Web site with the recipes). Maybe I’ve told you this before, but I landed a cheap copy from thriftbooks.com. She has a few roast and steak recipes I like (one is “broccoli beef” and the other is a “3 packet roast”. Her version of BBQ pulled pork is also very good). yes, I’ve been doing better — and we LOVE beef roasts so I’m not sure why I don’t just make one a week or something! Thanks for the recipe ideas! That’s been me this week with all the snow. Where I live it takes a 4wheel drive vehicle to get through the drifting…. I could’ve gone today, but taking 4 kids in below 0 temps didn’t sound fun. Plus I used all of January’s budget already…..the snow helped force me to not spend more. Hoping for school tomorrow just for the sake of shopping. Now to figure out dinner tonight…..I like to grill a lot but with this weather that hasn’t happened. I can’t wait to make my list after supper. Ps. I also have seen how much less my grocery bill is if I focus less on snacks and cereal and more on produce and high protein high filling snacks or snacks I make at home. Oh good — glad your cat didn’t starve and you had your coffee 🙂 Priorities right!!! Hello Andrea 🙂 This is the bread i make. It is a Norwegian recipe,i am Norwegian 😉 . It is a good healthy bread for everyday use. ss= normal spoon size. Dissolve the yeast in water and oil with sugar and syrup. Add all the coarse flour and oatmeal and leave for 15 minutes. Then apply the wheat flour and knead well for 10 minutes. Back to 3 loaves of bread and place in well-greased 2 liter bread forms. Fry in the middle of the oven at 180 degrees for 50-60 minutes. You should look up Jordan Page’s (I think just funcheaporfree.com?) shelf cooking! She periodically does shelf cooking challenges like this. 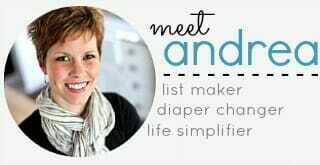 All her whole philosophy in general is to buy things when they’re on sale and then “shop” your fridge, freezer, and pantry to make your meal plan for the week instead of the way most people plan their meals first and automatically go to the store for the things they need. (Not sure if I’m explaining it well. ) Anyway, all that to say you should look up shelf cooking (and Jordan Page)! It’s always nice to clear things out! ok thanks – -I’ll look into that blog! I love that you made rules and stuck with them! Currently, I’ve been keeping a “use up soon” list on a dry erase board on my fridge, along with a “must get” shopping list and “I want to make” (my very tiny attempt at a menu plan). It seems to work ok for now, but I can see how I could benefit from a challenge like yours, soon! Thank you for inspiring me once again! I’d love to learn what dish you made with tuna that your kids ate. Was it some kind of pasta tuna bake? We are eating through our freezer supplies too and are nearly out of meat, but I do have cans of tuna I could try using to stretch us another week or so before needing to buy a little meat. I really love this post!! Your stockpile of food sounded so big, I can’t imagine having that much. When we run out of items we just take our jars to the local store and refill from the bulk section so we always have the nuts, grains, sugar, baking soda, etc etc we need, but never more than a big jar full. We try and have a packaging-free pantry. me too! trying to make more tuna dishes & would love that recipe/idea. In years past I had a pantry full of food, mostly legumes and grains–I’m vegetarian. It was a huge security thing for me to know that I could eat for weeks no matter what happened. I also had a lot of home-canned vegetables and fruit behind the books on my bookshelves, neatly alphabetized from applesauce to zucchini. And that’s all changed in the last 15 years. I do have more financial security now, but the way I eat has transformed–I’ve had to go low-carb to manage Type 2 diabetes, so now I eat almost entirely fresh food. I no longer need a huge backstock of carbs, and I’ve realized I don’t really care for canned vegetables, except tomatoes for soups. I prefer them fresh, or roasted, or stir-fried, and fresh works better for all of those. I do freeze fruit for my breakfast yogurt parfaits. Another major change was that I’ve shifted to eating mostly local food. I have a CSA from my farmer’s market that runs from May to December, so that’s where almost all my food comes from in those months. In the winter in Indiana trying to eat fresh, local, and low-carb is an unworkable combination, so the balance shifts to my food co-op. Still fresh, but a lot more carbon miles, since the veggies mostly come from California. I’ve been reading through your archives, and remember a photo of your week’s grocery haul from 7 or 8 years ago. I tried not to judge (That’s not real food! ), but realized my own from 15 years ago would have looked similar. You’ve made a lot of comments over the years about “moderation”, and I wonder if you’ve noticed how much your Overton Window has shifted? This is NOT a criticism. I applaud the changes you’ve made, and hope you inspire others to make them as well. Yes, I do think food can be a security thing for many people — sounds like we both have a healthier relationship with food now versus a decade ago! Also, I have definitely thought about how much our diet has changed over the years. We still do enjoy Culver’s, Arby’s, and some processed foods, but I also buy SO many more fruits, veggies, and unprocessed foods. I guess I’d still say we practice a life of moderation, but that “moderation does look quite a a bit differently that in did 10 years ago! At the end of December, our dep freezer was so packed with baked goods and bread products (many of which I had baked for our local fair in September!). We had a lot of other leftovers and bits and pieces of things. I decided I was done and that January would be our pantry challenge. I usually plan meals and shop for a month at a time so this would be a challenge for me. I started with a list of everything in the freezer and pantry and started making weekly meal plans. We’re four weeks in and can probably go for another week or two. I have bought some things (my husband is low carb and NEEDS meat so he chooses some pork from the store and that usually lasts a week or so) and I relented and bought more cereal for breakfast so we had some variety. I enjoy doing this every once in a while. It reminds my kids that we don’t have an endless supply of money to just buy everything they want. Plus, my freezer emptied out and our grocery budget is less (about half in January!). Thanks for highlighting this for others who might not think about it. wow — that’s fantastic! Good for you! Last week I had emailed you and said that I can go to the grocery store 4 or more times a week. 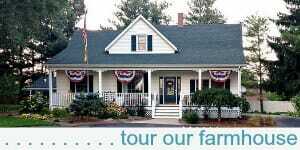 We live in the country and when we go to town I always end up in the store for something. Yesterday my friend FaceTime me while I was on my way to town (my husband was driving). First thing she said was “if you’re going to the grocery store I’m sending you to therapy.” Lol. She’s a “once a month shopper”. Just for the record I didn’t go but I could have thought of something I just couldn’t do without. So far I haven’t missed anything so I’m doing good living out of the pantry and freezer. I started doing this about the same time as you did and I still have a good bit of meat and canned veggies to use up. We have been eating very well and it feels good to slowly work our way through our stockpile. I agree with you that I need some new rules going forward to avoid stockpiling items we really don’t need. Looking forward to your pantry/freezer organization post. Also, I would love your recipe using the Cinnamon Toast Crunch cereal. BTW, one of the best treats I have made (twice!) during this pantry/freezer challenge is your chocolate caramel brownies! We all loved them and I wish I had more caramels in my stockpile so we could make them again. oh yes, we LOOOOVE those caramel brownies. I actually just made them last week too. Now I have ONE more bag of caramels to “use up” and then we probably won’t have those brownies for a while as I have many other baking items to use up before I buy more! I have been doing this too! Especially since we are getting ready to do a kitchen remodel. We are slowly tearing out old cabinets and I’m try to use up, purge or donate to clear up space. We could for sure go three months without buying much except fresh produce, dairy and some meat. For the past couple of weeks I’ve been making what I dubbed “leftover meatloaf” by cleaning out the fridge of random items in various storage containers. I always start with a pound of ground beef and then add in whatever I can find- last week our meatloaf incorporated the last serving of chicken and rice casserole, some wilted celery (chopped) the remainder of a bag of baby spinach (also chopped before adding to the meat) and some leftover farro. Adding ketchup and seasonings masked all the “out-of-place” flavors and my husband and kids loved it! Plus I’m wasting less food and hiding more veggies in our meals 🙂 I’ll have to see what other creative ways I can use up other items around my kitchen. This is AWESOME! I never thought to do something like this, but my family LOVES meatloaf. I’m totally “stealing” this idea soon! Oh I just did this with chili. Beans, tomato sauce, canned tomatoes, and all the leftovers and unused vegetables we had in our fridge. Great way to use up everything. 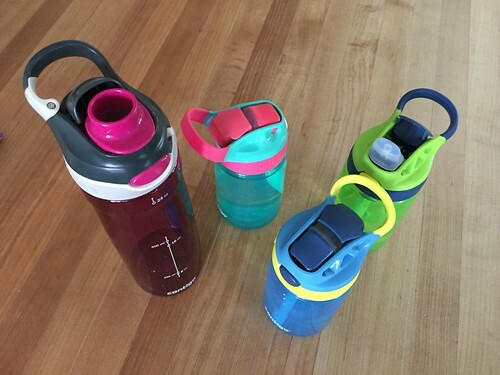 another great idea — thanks for sharing! I i do the same thing with fruits, etc. I throw them into smoothies. yup, this is what we do with fruits too! I love to do this periodically! I don’t tend to “stock up”on things, but I do a “Free the Freezer” challenge at least once a year to clear it out so I can defrost it. The biggest difference in my grocery budget lately?? Sending my two hungry teenage boys to college! 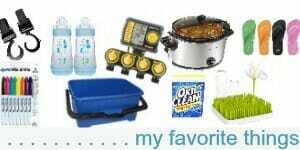 Of course, we are “paying” in a different way, but shopping and cooking has been sooo much easier! 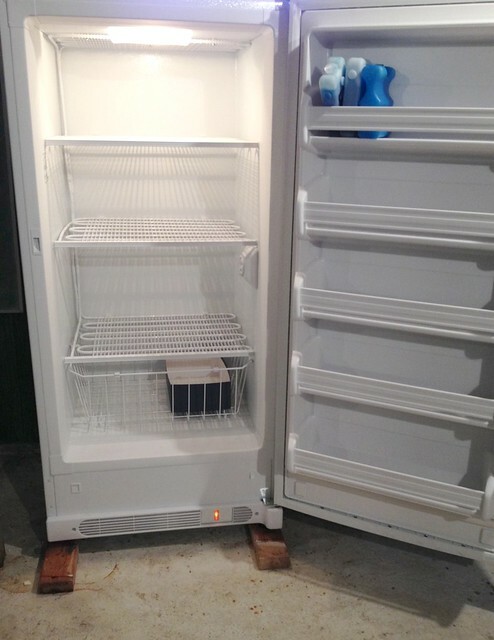 When the boys were home for Christmas break, they were like “What the heck do you guys eat? There’s no food in the house!” And I spent so much money feeding them for a month! I admit, this is one of the unexpected perks of the empty nest that we are enjoying very much! Jeff is much like Dave (but we knew that! lol!). He’s so non-picky and will really eat most anything so that helps, too! Thank you for this update! I so need to do this. My pantry and freezer is embarrassingly full, and I get security from it. I think if I make grocery shopping rules it will really help. I totally identify with the feeling of security of a fully stocked freezer and pantry! But, I also need to do this challenge. yes exactly — it’s that feeling security. So crazy what food (or lack of food) can do to us! That’s exactly how I felt — they were “embarrassingly full”. Now, all my cabinets, freezers, and refrigerators have a lot of extra “breathing room”! It feels great! It’s amazing how much we can accumulate and not even be aware of it, isn’t it? 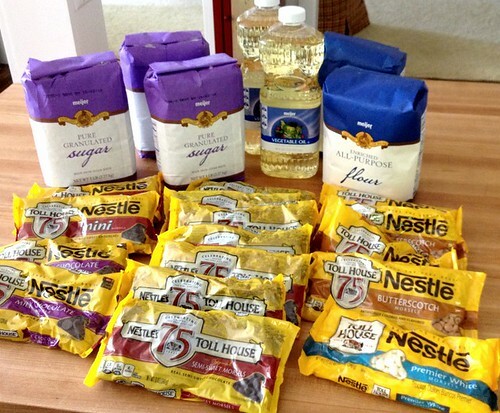 When we still had kids at home, I would do a pantry challenge in January and July each year. Now that it’s just the 2 of us, our pantry is never as full as it used to be however, last night I took inventory of my refrigerator freezer and planned next week’s menu around the odds & ends that are in there – – some chopped ham will be used in a frittata, chopped turkey will be used in a turkey & wild rice veggie soup, leftover buffalo chicken will be used in a buffalo chicken dip, etc. I can’t wait to have the random bits used up! yes, I just kept buying more and more because I was used to buying certain things even though we had stopped eating those things. Crazy! Also, your leftover menu sounds delicious! Funny you posted this! I’m getting ready to do this myself, particularly with meat in the deep freeze and pantry items. Thanks for the ideas! oh too funny — hope you enjoy your leftovers and all the extra space you’ll soon have! Oh yes, this is such a good thing to do! In fact, please excuse me, I am off right now to inventory my freezer. I was googling “farro recipes” for just this reason yesterday! I like to experiment in the kitchen a lot but then have weird odd and ends leftover. I decided a few weeks ago to use up all of that stuff. use it just like you would rice in a Chicken, Broccoli “rice” casserole, or in Chicken and “Rice” soup. I use Farro regularly and we REALLY like it! I can’t recall — Do you have a Costco membership? If so, I highly recommend the tortillas in the refrigerated section. They are just raw dough so you have to cook them yourself but it’s SUPER quick and easy. They have very few ingredients (unlike the shelf-stable pantry ones), just canola oil, water, yeast, and salt, if I remember correctly. They are soooooo delicious! Also, I’d love more posts on grains. 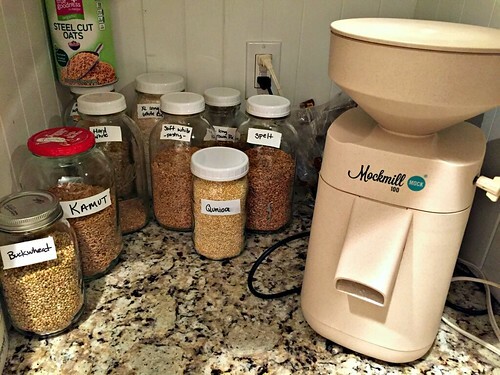 I have a Nutrimill and love it, but I only use it for wheat. I need to expand my repertoire! Wal-Mart has something similar. We love them! I will have to buy some next time I’m there. Thanks! I have done this same thing too and I love working through the cupboards and making meals and snacks that feel “free” to me. 🙂 It creates more space in the cupboards and uses up those pesky items that are always there. My latest idea was to use up a new tomato soup recipe that my family didn’t love and use the leftover soup as spaghetti sauce. My 3 kids had no idea! This post is so helpful and inspiring! I have been planning for us to eat down our pantry but this has helped with specific rules and ideas. I may be a little more challenged as I have a teenager who is very picky. I think the rest of the family will pretty much be on board. I am very much looking forward to seeing what you plan to do with your pantry going forward. Thanks so much for the fresh ideas! Please don’t feel obligated to follow my rules — use them as guidlines and tweak them to fit what you feel will work best for your family! I really enjoyed this post. I am doing something similar, except I don’t have rules, I am just buying less groceries and really trying to use up a lot out of my pantry and freezers. Yes, sometimes I have weird meals 🙂 Yesterday it was tortillini with alfredo sauce, a hot dog, and red beets. . I also am trying to simplify my life and have started a list of foods I will no longer buy, such as almond milk for healthy smoothies and Lara bars since I don’t really eat those types of snacks anymore, since I’m really cutting back on snacks in general. It feels good to have some limits. I also have gotten moths in my rice before so realize I need to not stockpile as much.